If you have any questions about the MY SPACE information page below please contact us. The well sized superyacht MY SPACE is a motor yacht. 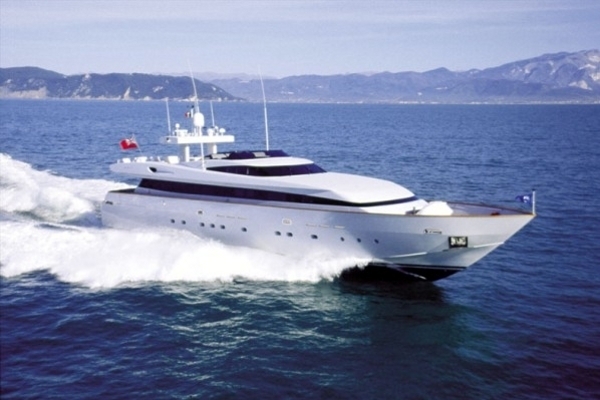 This 33 metre (110 foot) luxury yacht was manufactured at Baglietto in 2002. 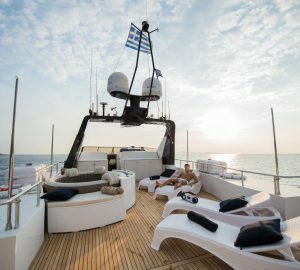 Superyacht MY SPACE is a grand yacht that can sleep up to 10 passengers on board and has approximately 6 qualified crew. 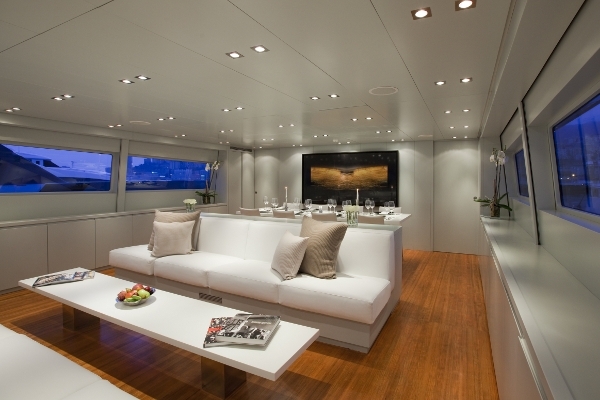 The balanced motor yacht was envisaged by a naval architect called Baglietto and Paszkowski and Claudio Ciconetti. Getulio Alviani/Claudio Cicconetti undertook the interior design and styling. 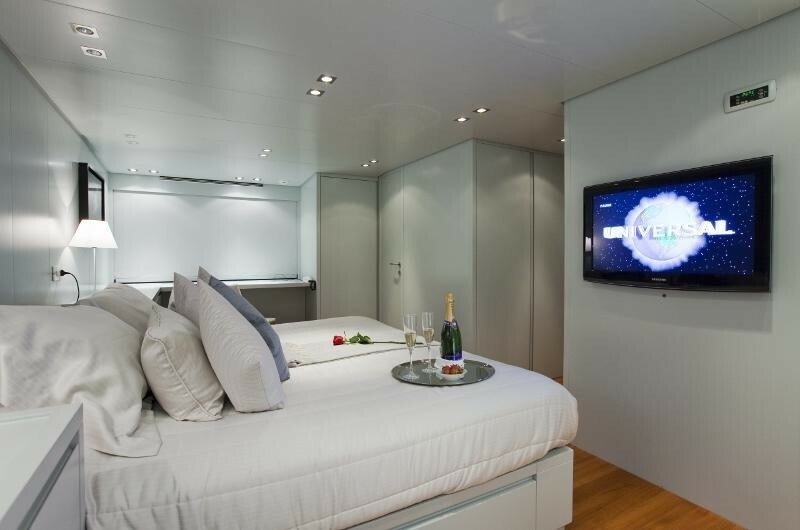 Motor yacht MY SPACE by Cantieri Navali Baglietto (CNB) is able to accommodate up to 10 guests in 5 cabins. 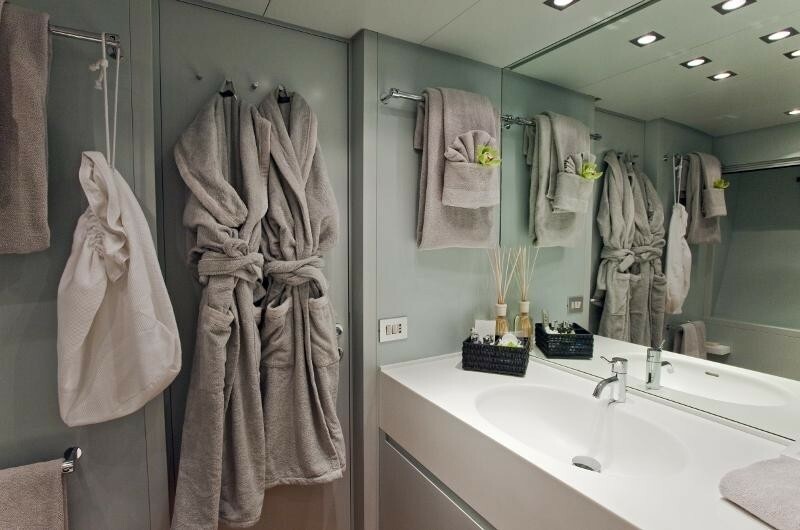 She is a superb Italian luxury motor yacht that was built in 2002 and entirely refitted during 2009. 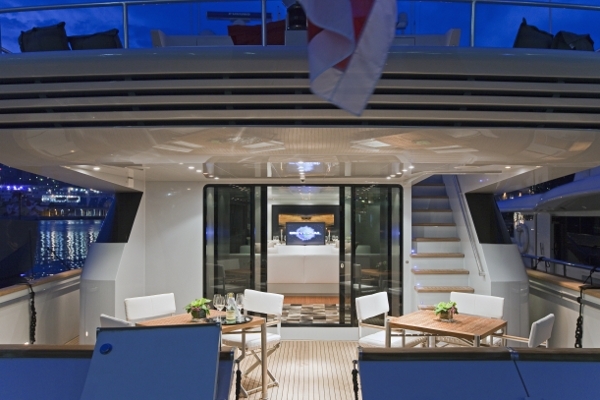 The yacht's wider design collaboration came from Baglietto and Paszkowski and Claudio Ciconetti. 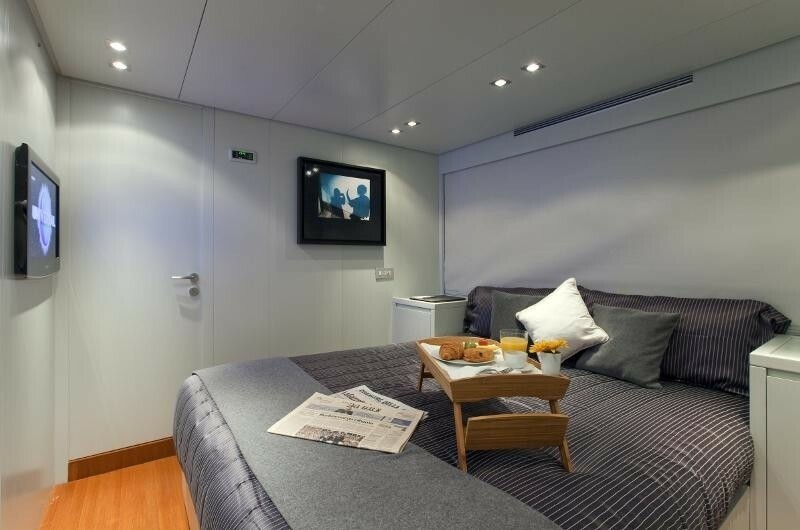 The technical naval architecture plans are the creation of Baglietto design. 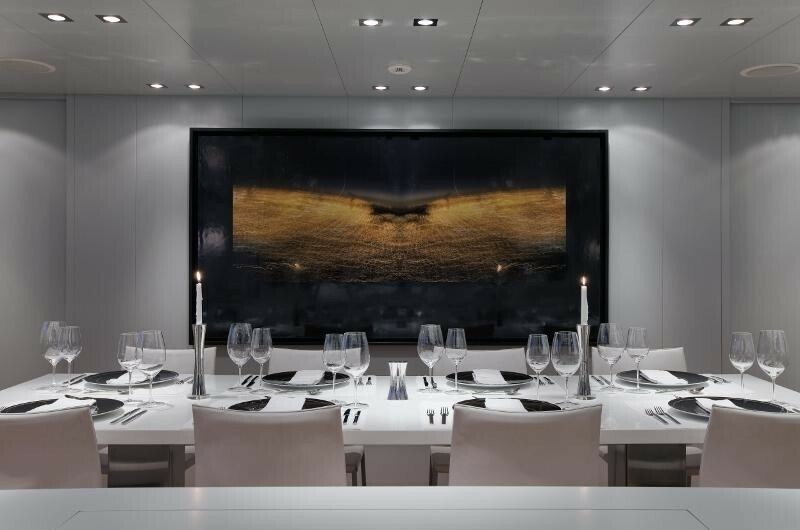 Motor Yacht MY SPACE received her elegant interior designing from the interior design skills of Getulio Alviani/Claudio Cicconetti. 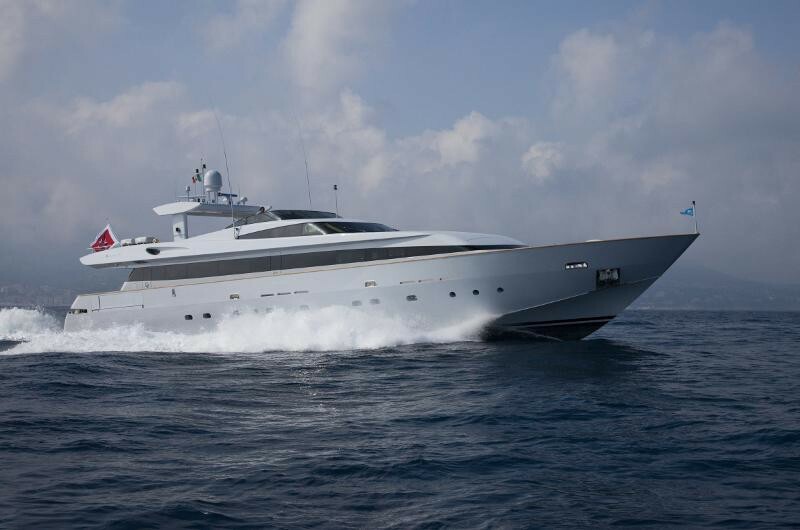 Italy is the country that Baglietto built their new build motor yacht in. 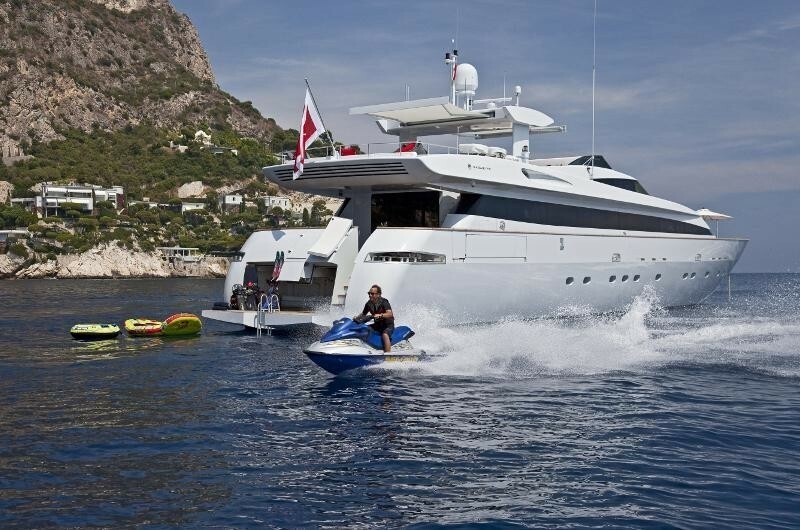 After the official launch in 2002 in Varazze the boat was delivered on to the yacht owner following sea trials and testing. A moderate feeling is achieved with a maximum beam (width) of 7.21 m or 23.7 ft. With a 2.6m (8.5ft) draught (maximum depth) she is reasonably shallow. 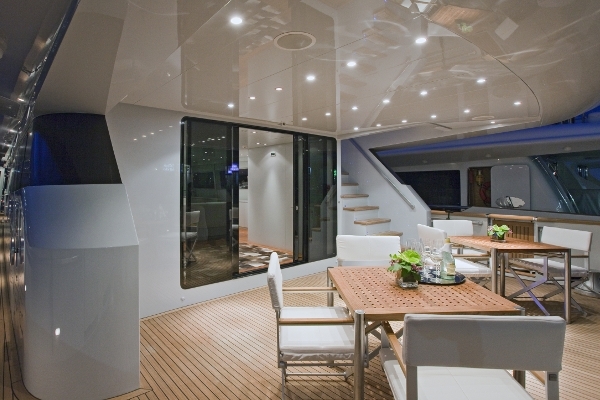 The material aluminium was used in the building of the hull of the motor yacht. 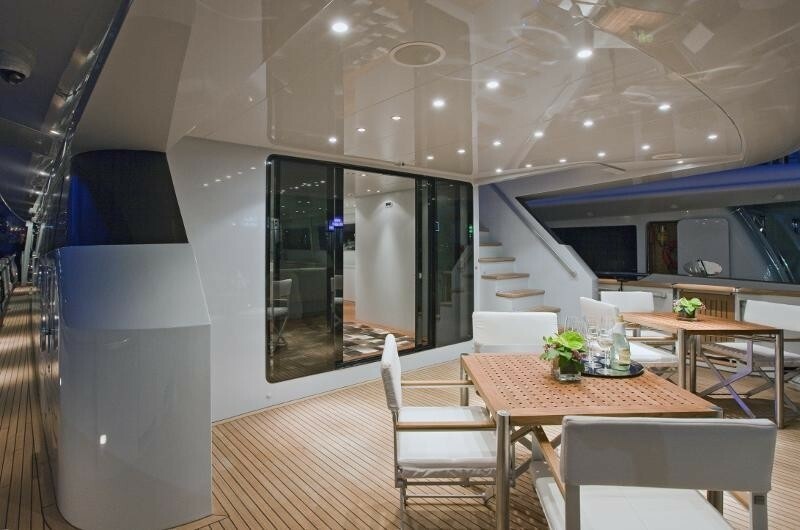 Her superstructure over the hull is created with the use of aluminium. The vessel makes use of two robust MTU main engine(s) and can touch a exalting maximum continuous speed of 32 knots. 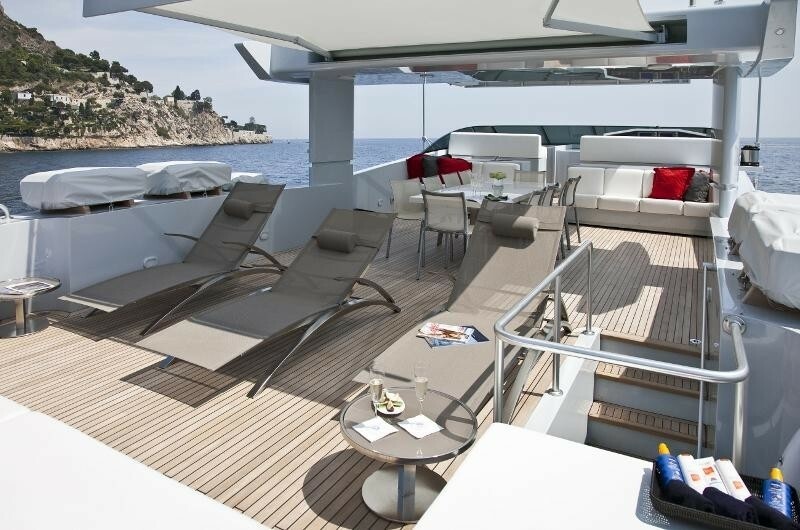 The engine of the yacht creates 2775 horse power (or 2042 kilowatts). Her total HP is 5550 HP and her total Kilowatts are 4084. For propulsion MY SPACE has twin screw propellers. This yacht’s convienient cruise speed is 27 knots which gives a range of 900. 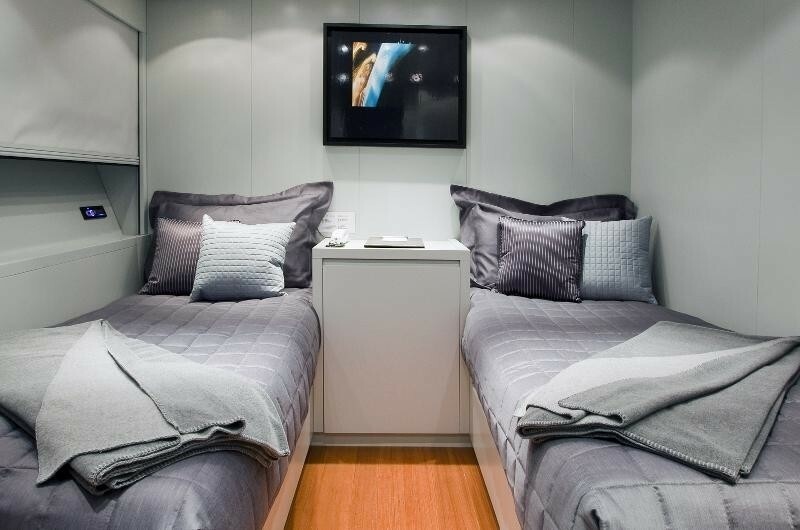 Providing cabins for a limit of 10 welcome guests overnighting, the MY SPACE accommodates them in luxury. The boat utilises approx 6 expert yacht crew to run. 33.45 metres / 109.7 feet. Cruising at a speed of 27 nautical miles per hour. 900 at a speed of 25 knots. 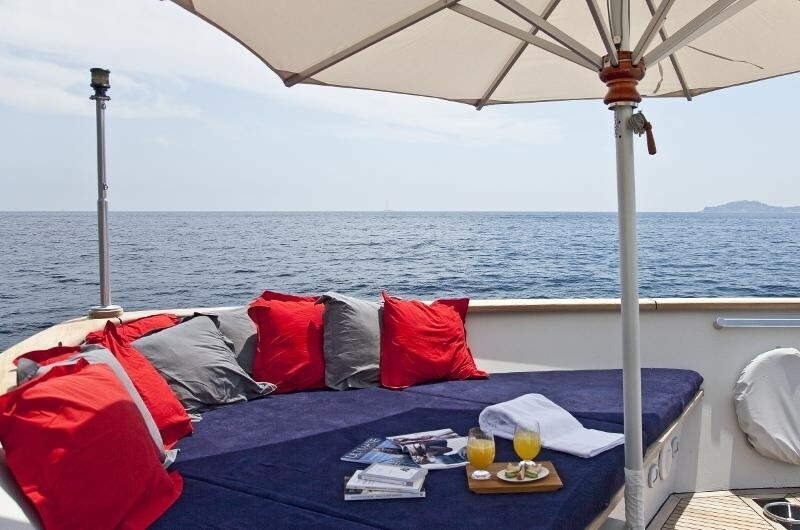 The luxury yacht MY SPACE displayed on this page is merely informational and she is not necessarily available for yacht charter or for sale, nor is she represented or marketed in anyway by CharterWorld. This web page and the superyacht information contained herein is not contractual. All yacht specifications and informations are displayed in good faith but CharterWorld does not warrant or assume any legal liability or responsibility for the current accuracy, completeness, validity, or usefulness of any superyacht information and/or images displayed. All boat information is subject to change without prior notice and may not be current.